After receiving the UK trailer and some images to the remake of Robocop yesterday, it got me thinking and that I should throw my own two cents in as I did when the new Batman was named. This time it’s Robocop. The original wasn’t up there with Hitchcock but it was a fun, if very gory, look at corporate greed and corruption that was there in the 80s. This time around they seem to have missed the point and gone for more of the human interest side and why Murphy ended up as Robocop and how evil the corporation is that made him. This comes across in the trailer. It seems that one of the main complaints, and there are lots, is the new suit. Below is a side-by-side comparison. I’m with the people who don’t like it. Earlier on in the film the suit is closer to the original. 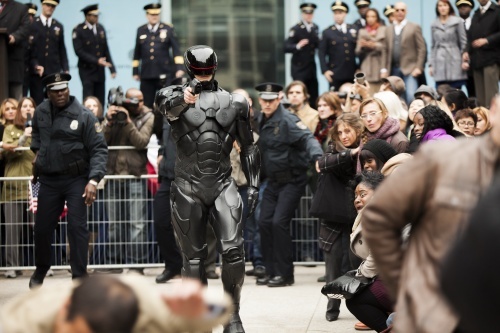 Not only that, we also get the new Robocop seems to be channelling Michael Jackson with the use of the single glove (click to embiggen the images). 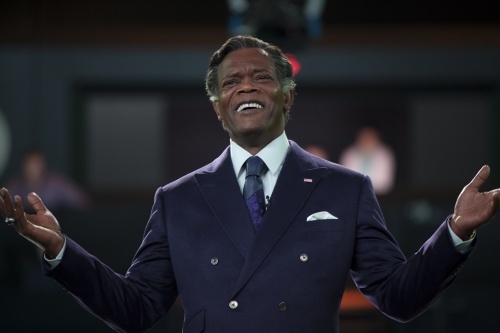 Not only do we not get the same suit we also get Samuel L. Jackson sporting one of the strangest hairstyles / wigs he’s ever worn, including the fetching one he wore in Pulp Fiction! From the trailer he does come across as a black version of The Running Man’s Damon Killian. Re watching the trailer, it does seem that a lot of the things that made the 1987 original so good have been removed. It’s like they have taken the Silvester Stallone version of Judge Dredd and taken the idea that Robocop’s head will be covered if a stuntman is needed. Watch the trailer to see what I mean. With rumours going about that the film may have a US PG-13 (Sort of a UK 12A) then all of the violence from the original will have to go and be replaced with. It does look that this is the way the film is going. Concentrating on how to make the “ultimate police officer” instead of using that officer to enforce the law in his own bloody style. With a mid-range budget, for a block buster, of $120 million and a, current, release date a week before Valentine’s Day I feel that it will make that back assuming that the publicity costs can be kept down. Expect the reviews not to be great as it will be compared to the original – the main problem with remakes. I leave you with the synopsis and that the film is hitting the Silver Screen in the UK from February 7th, 2014.